The ’90s revival is in full swing and if this decade was just about wearing plaid and looking like Angela Chase then there would be no complaints here. This isn’t the case and things that were terrible then are still terrible now. One of the reasons for starting TV Ate My Wardrobe was so I had an outlet for discussing costuming that I’d like to see in my own wardrobe, this new feature is the opposite and it’s a reminder of the awful items I did own and to stop this from happening all over again. 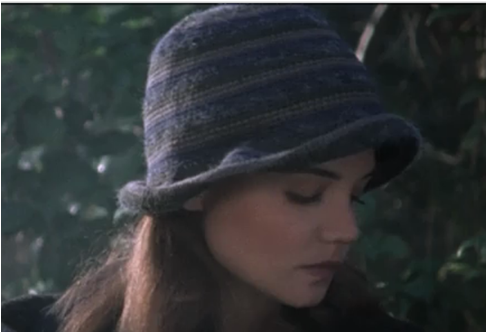 It’s getting colder and so you might think that a wool hat like this is super cute, it’s not and it should stay in 1999. Even if Joey has this endearing look in her eye, don’t buy a hat like this. Just don’t. If you have any of your own suggestions then send them in and I’ll be putting my ’90s TV watching to good use as a way to prevent those fashion mistakes from the past from happening all over again. This is why I’m happy that things like Instagram and Facebook didn’t exist back then as all of my personal clothing horrors are relegated to shoe boxes full of photos.